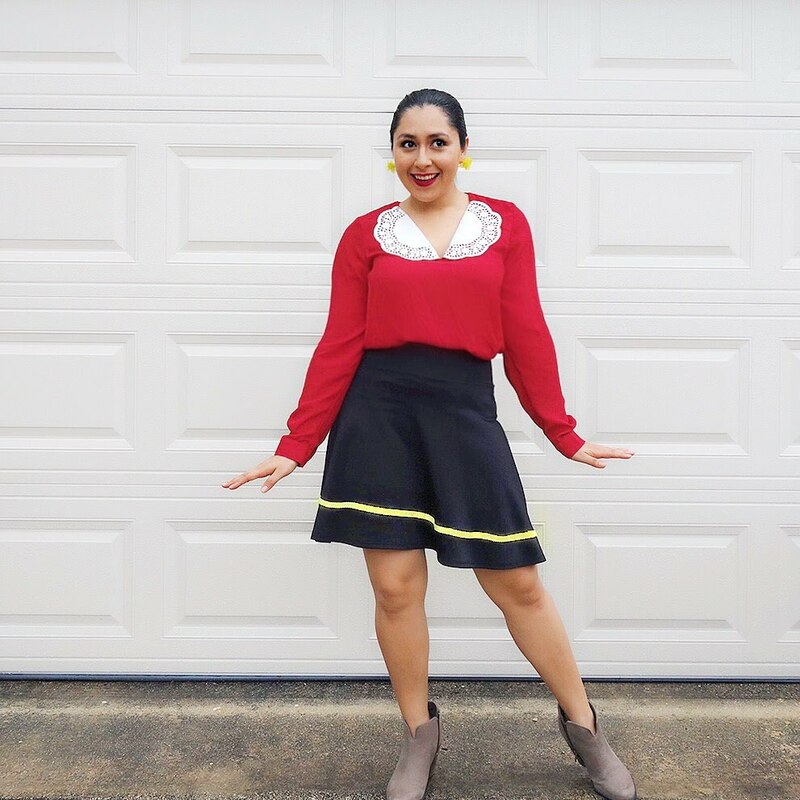 Last year I did not write a blog post but I dressed up as Damian from Mean Girls, see here: 2017 . This year, I will show you two great options that I am pretty sure you will be able to create in a few hours. 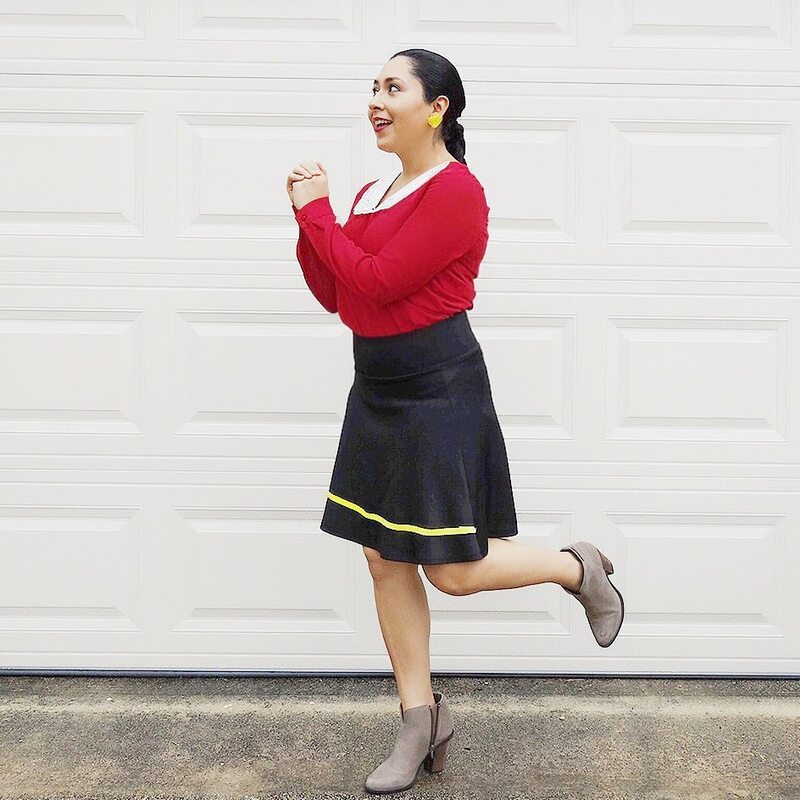 I've had this black skirt forever and I bought this top a few Christmas ago because we have a tradition of everyone wearing the same color, that year was red. But honestly, I never wore it again. 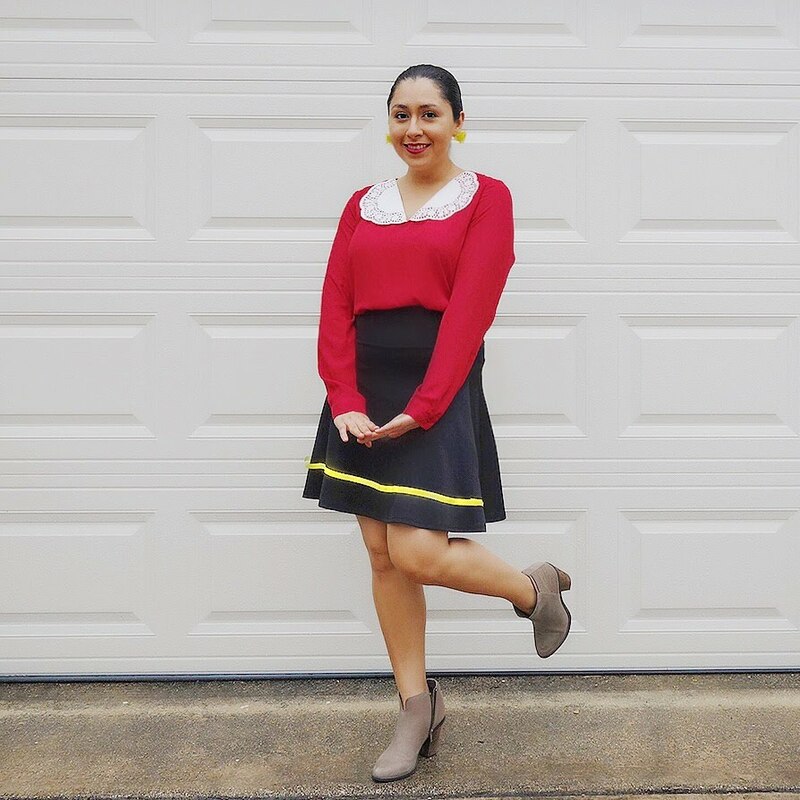 I love Frida Kahlo and I've been wanting to dress up like her for a while, but for one thing or another, it didn't happen. But finally, I had all the items necessary to look like her, see below. - Fake Flowers or real (My sister-in-law got this cute hair band from Target) Here are some in case you want to buy: Francesca's , Kohls, Tilly's.